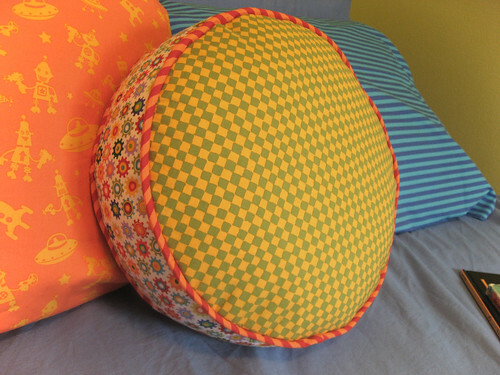 Here's a tutorial for a round cushion that is trimmed with piping. Even if you may not be planning to make the cushion, I'd recommend taking a look at the tut for tips on working with piping. 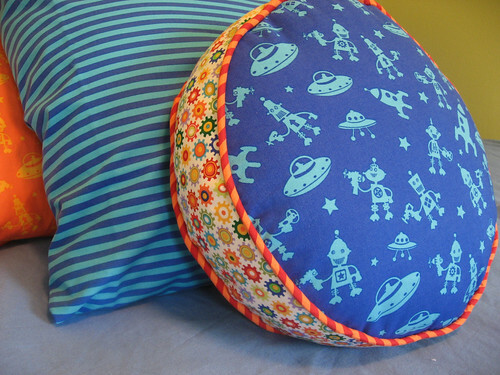 The fabric is all Bot Camp by Michael Miller. Mom to 3 boys. Wife to one. Sewing fanatic. This is a Flickr badge showing public photos and videos from stardustshoes. Make your own badge here.